The word conjures up images of vast swathes of wilderness roamed by elephants, lions, herds of zebra and wildebeest. Of course, Africa is not just about wildlife safaris, and the beautiful beaches of the Indian Ocean coastline and diverse landscapes of forest, mountains and desert are all big draws. Since 1998 Tribes Travel has planned African safari holidays and adventures for its loyal travellers. Read on for advice and guides on travelling in Africa, and then contact us so we can help you book your perfect African holiday. Our African safari and holiday itineraries We can tailor-make any holiday or safari in Africa for you. You just need to call or email us and start a conversation with one of our expert, friendly consultants. If you’re unsure which country you want to go to and simply want a full list of all our wonderful safari holidays, just go to our Safari Holidays page. If you’re at the start of your decision-making, we’d recommend giving us a call to get advice on where might be best for you. Your decision might be based on highlights of that country, price, time of year, type of holiday (adventurous or luxurious), whether you can self-drive, if a destination is malarial … So by all means, look through this website for ideas, but we find that a phone call tends to get people closer to what they might more quickly. Call us on 01473 890499. This depends on why you want to go – best weather, to see a specific animal or event (eg migration), best for diving, and so on. We’d recommend going to one of the following pages for more advice: When to go where – for ideas by month When to visit - each country has a ‘When to visit’ page explaining why go and when, including a climate chart. What kind of safari might suit me? Most of our clients take private tailor made safari which we’ve planned especially for them. This might be a fly-in safari (flying from camp to camp) or they might have their own vehicle and driver/guide to take them around. 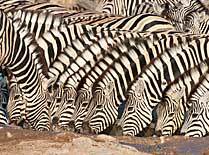 Alternatively, we can offer some group safaris – see our Group Holidays page. The other decision to make is whether you want to stay in a lodge, tented camp, or a basic tent. Mobile safaris such as we offer in Botswana commonly use tents (some basic, some very posh!). What does an African safari or beach holiday cost? African safaris are a memorable and wonderful experience, but sadly they don’t come cheap. Whilst you can get a camping safari in Botswana for as little as £100 per night, a safari generally starts at around £300 per person per night, with a good quality fly-in safari being closer to £500 pp per night on the whole, and there are plenty ways of spending much more than this if you want something extremely special. A beach holiday will cost much less than this unless you lick the top end resorts and lodges. You will get a good deluxe beach lodge from about £175 pp per night, though you can get some beach spots for as little as £100 pp per night. Our popular Guides to Safaris Safaris are expensive, so you don’t want to waste your money by buying the wrong kind of holiday. Here are some useful guides which might help you decide what could be right for you, however, we’d always recommend you calling us for personal advice. 01473 890499. Accommodation in Africa Here is a quick guide to the kind of places you could stay. Lodges: Permanent buildings with a proper infrastructure and generally more facilities than tented camps. Tented Camps: In many places in Africa permanent buildings are not allowed, so you stay instead in tented camps. The tents are more like canvas-sided rooms with en-suite bathrooms, rather than tents as most of us would know them! Mobile camping: Tents on mobile safaris can be anything from small 3mx3m done tents (using rollmats and sleeping bags) with a shared loo and shower tent, to larger walk-in tents with proper beds and linen and an en-suite bathroom in an attached tent. Guest Houses: In South Africa you get some really great guest houses and B&Bs which are like small boutique hotels. Our Africa team Tribes Travel has been organising holidays to Africa for clients since 1998. Amanda and Guy Marks, company founders and directors, have both travelled extensively in Africa, and continue to do so. The Tribes Africa team is Amanda, Tracy Edwards, Sinead Bailey, Christine MacDougall and Alex Neaves, and of whom you can talk to by calling us on 01473 890499. Incredible wildlife and wilderness from the Okavango Delta to Chobe, the Makgadikgadi salt pans and the Kalahari. Congo is a country of pristine rainforest, rivers, swamps, lagoons and waterfalls near the geographical heart of Africa. It’s a true wilderness, filled with lush and varied plant that is home to many species of primates, notably chimpanzees and mountain gorillas. A classic for African safaris. The Masai Mara is a highlight but other gems await too, plus the stunning coastline. Unique wildlife including the diverse lemur species, plus baobab trees and tropical beaches. Dominated by the vast lake, this small country offers wildlife, walking, watersports, beaches and fascinating culture. The Indian Ocean islands of Mauritius and Rodrigues offer stunning beach holiday locations. An unusual beach destination, with unique island and mainland spots to relax away from any crowds. With a range of different climates, varied and stunning landscapes that stretch for miles. Known mainly for mountain gorillas, Rwanda has other great wildlife too as well as stunning scenery and fascinating cultures. A huge & diverse country. Cape Town, Kruger, the Garden Route, the Drakensberg, battlefields, amazing beaches. With such highlights as the Serengeti, Ngorongoro Crater, Selous, Ruaha, Kilimanjaro and Zanzibar, it can’t be missed. Not just mountain gorillas, but many other primates and savannah wildlife, plus some of the best birding in Africa. One of the best safari destinations in Africa. South Luangwa, Kafue and Lower Zambezi parks, plus the iconic Victoria Falls. Often overlooked due to its turbulent political situation, Zimbabwe is now re-emerging as a worthy contender on the safari circuit. 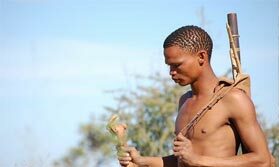 Spend some time with San Bushmen and learn a little about their traditional lifestyle and culture. 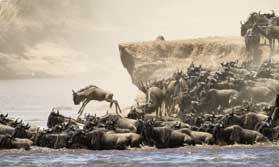 2 million wildebeest and zebra massed on the Serengeti and Masai Mara plains. An unmissable wildlife event! 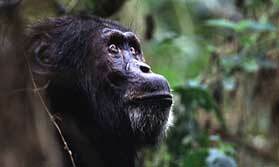 A meeting with wild chimpanzees is raw, exciting and unforgettable. A Chimp Habituation Day gives you even longer with them than a normal visit. 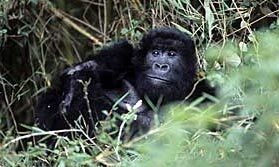 Sitting a few feet from a mountain gorilla is an experience any wildlife lover could not fail to find utterly exhilarating. 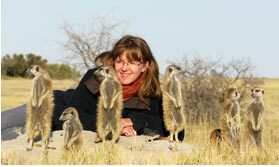 Meeting a colony of meerkats can be almost as rewarding as meeting a gorilla. 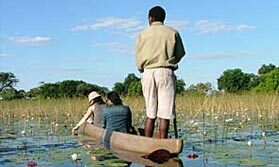 Float along the waterways of the Okavango in a mokoro. 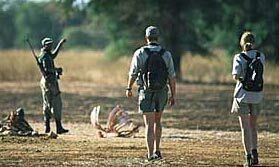 It is a wonderful wilderness activity unique to Botswana. 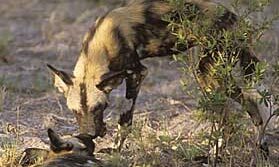 Watching wild dogs 'talk' to each other, play or hunt is enthralling. Catch them if you can! Walk through African bush, dine around the campfire, listening to the 'call of the wild'. Camp under the stars. Let one of our specialists help you plan your ideal tailor-made holiday to Africa.